FIRST Republican President Kenneth Kaunda has called on the Church in Zambia to unite and embrace the spirit of forgiveness and reconciliation. He said this in Lusaka yesterday when the United Church of Zambia (UCZ) launched the countdown to its golden jubilee celebrations to be held in January next year under the theme ‘50 Years of the Gospel and Unity’. 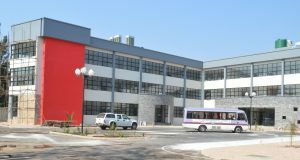 The celebrations started with a march past from the New Synod Investment Complex in Woodlands to St Paul’s Congregation in Kabwata residential area. The service at St Paul’s Congregations attracted UCZ presbyteries and various congregations from around the country. Dr Kaunda said as the Church moved towards the celebrations to be held on January 16, next year, members should take this period as a joyous moment to reflect on their faith. 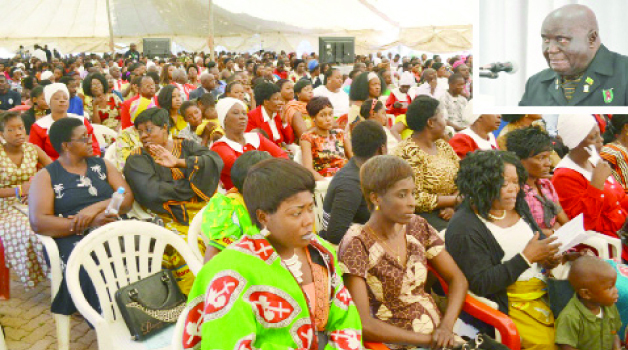 “We must, therefore, give thanks to the Lord God Almighty who has made it possible for his servants to continue spreading the Gospel in Zambia and the surrounding areas,” Dr Kaunda said. He said the UCZ should continue spreading the gospel for another 50 years and beyond. Dr Kaunda said Zambians were eager to see the Church serve God’s purpose in society by changing the lives of people, especially the vulnerable. 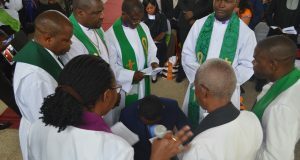 During benediction, UCZ Synod communications officer, Dennis Sikazwe appealed to the current generation of citizens to have interest in the history of their country. Reverend Sikazwe said a generation without a history was “a lost generation”. He appealed to the church members to be faithful as God always kept his covenant on love for His people. UCZ was formed on January 16, 1965, following the merger of the United Church of Central Africa in Rhodesia, the Methodist Missionary Society, and the Paris Evangelical Missionary Society of Barotseland. 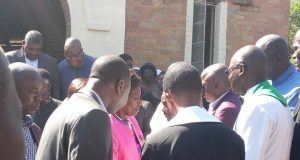 Among the dignitaries who attended the church service were former UNIP secretary general Grey Zulu, acting Chief Justice Lombe Chibesakunda, former Chief Justice Annel Silungwe, MMD president Nevers Mumba, Forum for Democracy and Development leader Edith Nawakwi, and People’s Party president Mike Mulongoti. Others were Heritage Party president Godfrey Miyanda and his wife, Angela, Kabwata Member of Parliament Given Lubinda, Deputy Speaker of the National Assembly Mkhondo Lungu, and Electoral Commission of Zambia chairperson, Irene Mambilima.